Leandra and Fabio started as neighbors in an apartment complex in Washington, DC; she was building her professional career while he was playing professional soccer. 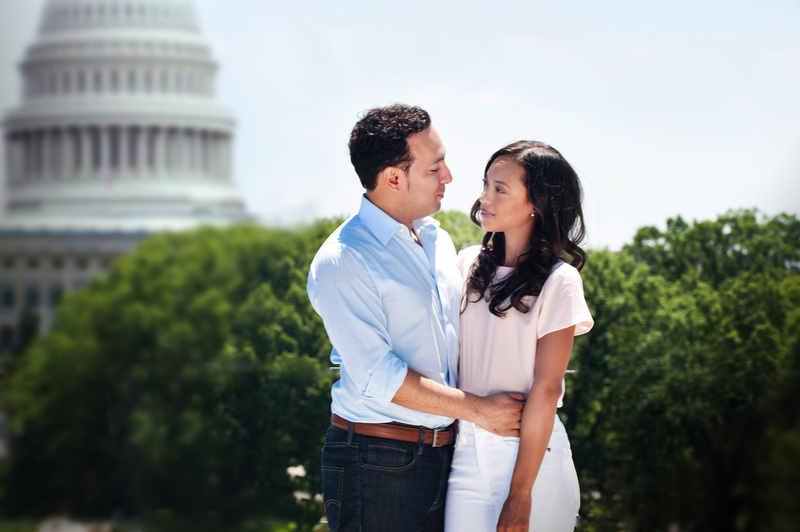 Little did they know, three years later they’d be getting married after a perfect rooftop proposal overlooking the D.C. skyline. 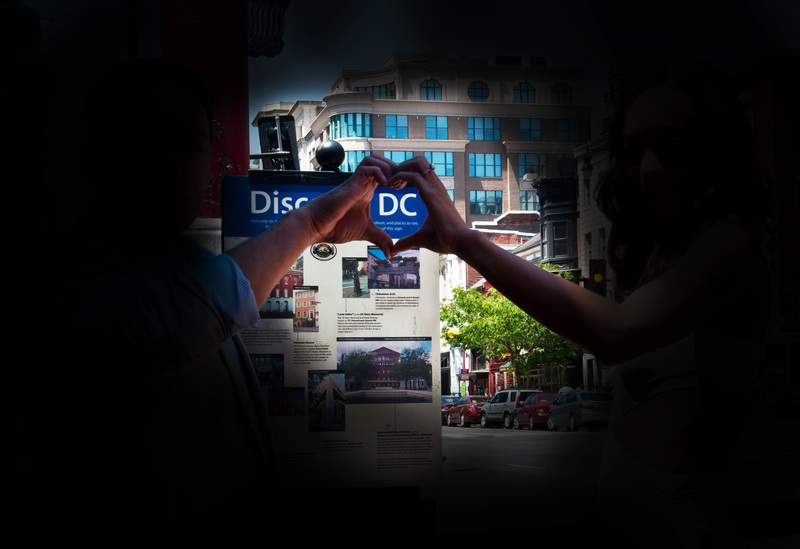 Meeting with Nina K Photography, the couple used their downtown DC engagement shoot as a tour of all of the major spots of their relationship. 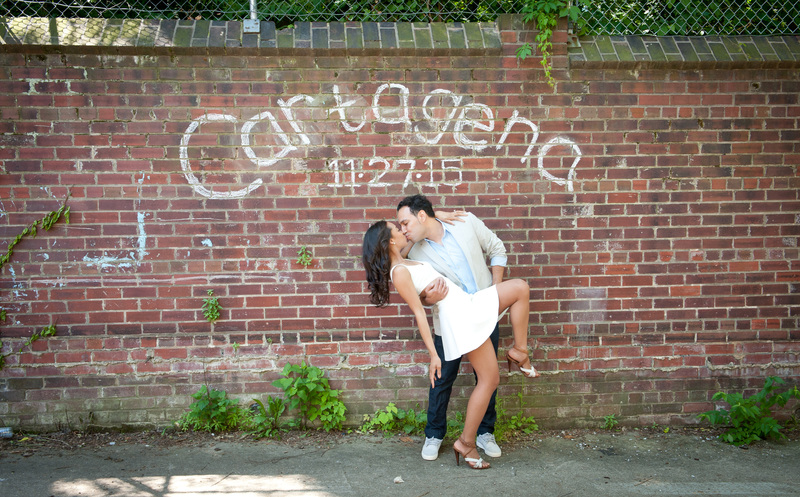 Starting at their house, they wrote on the brick wall and posed for photos before heading out to hit up the monuments and Chinatown. 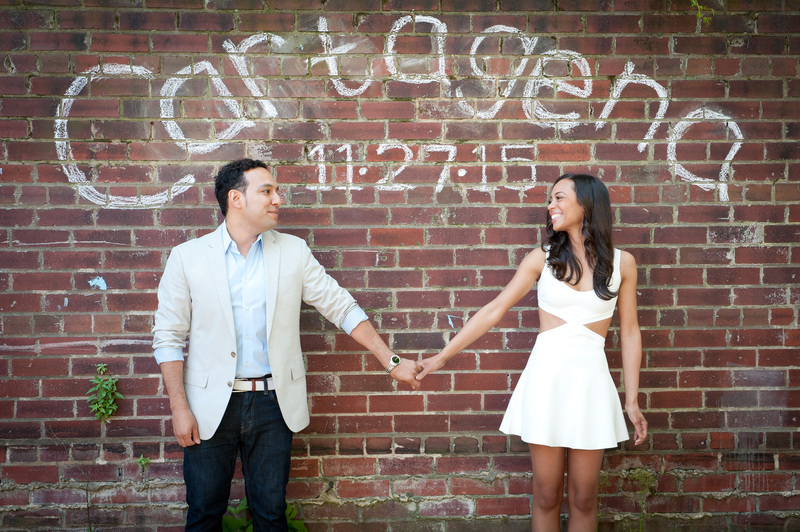 The couple will be holding their wedding in Cartagena, Colombia, where the groom originally hails from. 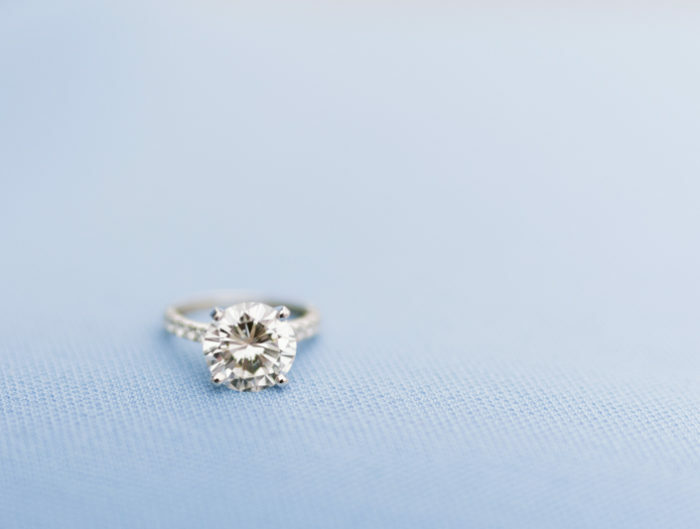 Best wishes to the couple and thank you to Nina K Photography for sharing their special engagement session!